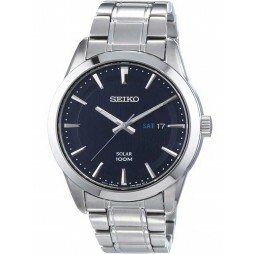 Seiko bring us this handsome men's bracelet watch in sporty style ideal for everyday wear. 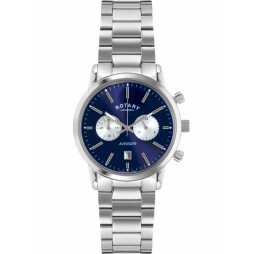 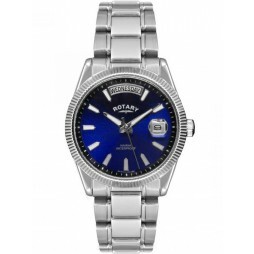 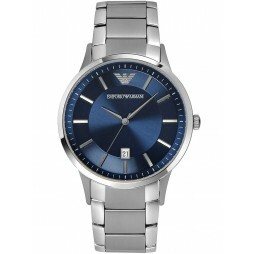 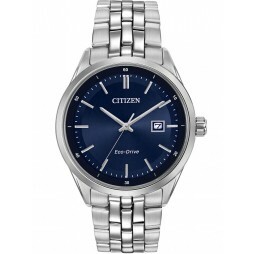 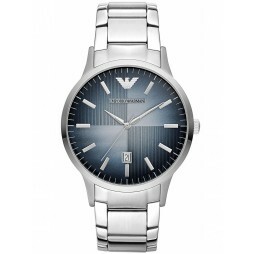 The durable stainless steel bracelet holds a round blue dial with day/date window, luminescent hands and hour markers. 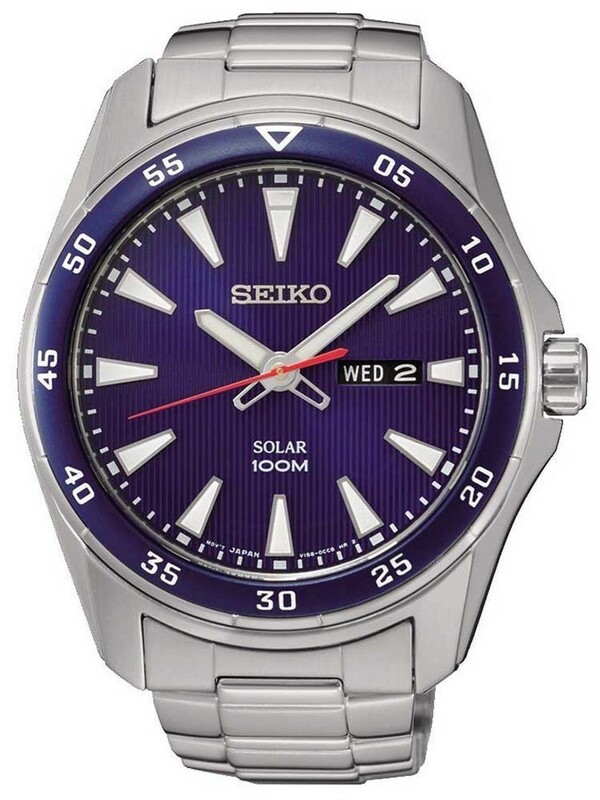 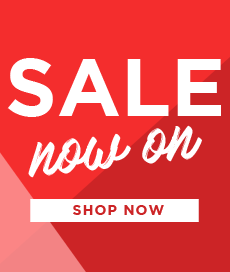 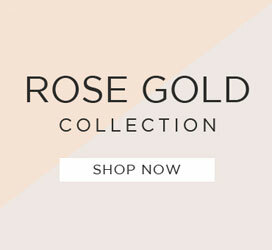 Featuring a rotating bezel and powered by a solar movement it makes a great gift for yourself or a loved one.